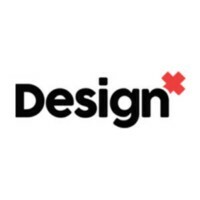 Building out your local UX & Design community, we are a conversation at the confluence of design, business and technology. Head of Market Development & #Mobile @PayPalCA & bringing @Braintree nextgen #payments to Canada. Called quite a few places home. Once labelled Golden Voice. The best new work by the world's most exciting designers - and the issues they care about, from @AIGAdesign's Eye on Design. I think hard about design and usability to produce happiness. Building Canada’s leading fintech VC @p3vc and alternative assets manager at @sagardholdings.